“Winter weather poses a natural challenge to raising young animals. Respiratory illness in calves can negatively impact weight gain, age at their first calving, first lactation milk production, farm revenue and costs,” said project leader Kimberley Morrill, Ph.D., a regional Cornell Cooperative Extension dairy specialist, Canton, NY. 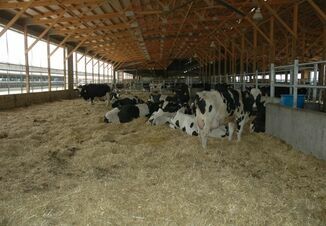 A USDA National Animal Health Monitoring Systems report that helped prompt the research in Northern New York indicated that 12.47 percent of pre-weaned dairy heifers in the United States are affected by respiratory illness, with 93.4 percent of those calves requiring antibiotics. Morrill evaluated 426 calves located across 27 farms in the northernmost counties of New York State from late November 2016 to early January 2017. In total those farms represented 2,408 pre-weaned calves, 32,269 heifers, and 33,557 lactating cows. Among the factors Morrill measured and analyzed were temperature, humidity, dew point, wind chill, airflow, bedding, and calf age, weight, and health scoring. Eight of the 27 participating farms had no calves with respiratory illness. On a per-farm basis, the prevalence of respiratory illness ranged from zero to 46 percent. Six farms had higher per-farm percentages of calves exhibiting signs of respiratory illness. The project design included developing strategies to reduce respiratory illness risk in pre-weaned calves. 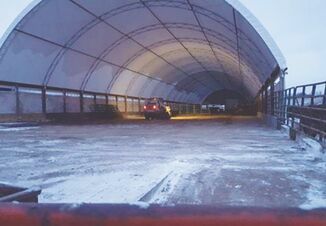 Each farm participating in the project received an individualized report with recommendations for steps to improve their winter-season calf management. Implementing employee training in the areas of calf feeding and management. Morrill noted that the majority of the farms participating in the project have adjusted their practices based on the recommendations received. The impact of the changes will be evaluated after the winter of 2017-18. Morrill will present an update on this research at the 2018 American Dairy Science Association meeting. “Knowing the factors that have the greatest opportunity to enhance calf health through the winter helps farmers manage for seasonal challenges by taking the necessary steps to improve respiratory health,” Morrill added. To watch a news report highlighting the research and featuring Morrill and dairyman Ryan Akins of Lisbon, New York, follow this link. Earlier research funded by the farmer-driven Northern New York Agricultural Development Program evaluated warm-season factors influencing the respiratory health of pre-weaned dairy calves on regional farms. To read this and other climate-related research, including how to reduce winter mastitis, visit the NNYADP website.